Happy Monday Y'all! In today's post, I wanted to show you that you can take the exact same look, and by switching up the accessories, make it a whole new outfit! I really wanted to show y'all (and really prove to myself) that you don't need to buy new clothes to create a new outfit! 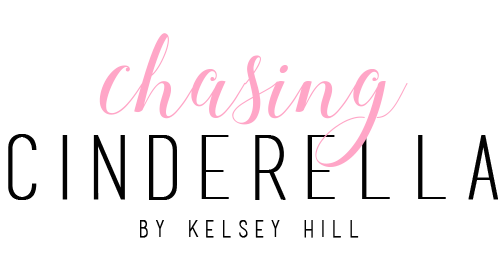 Especially as a fashion blogger, you sometimes feel like you need to be posting about new trends and new items, but really you can take old items and make them new! Just add in some new accessories and you are good to go!! 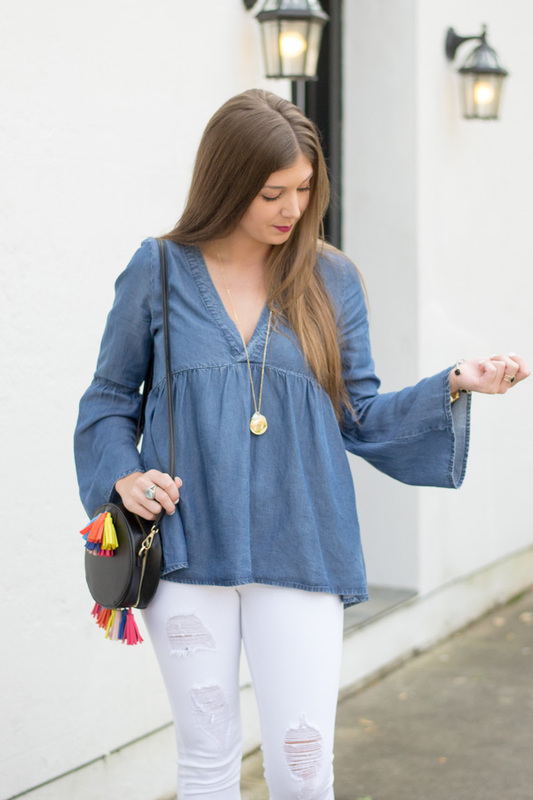 I'm in love with my bell sleeves top! 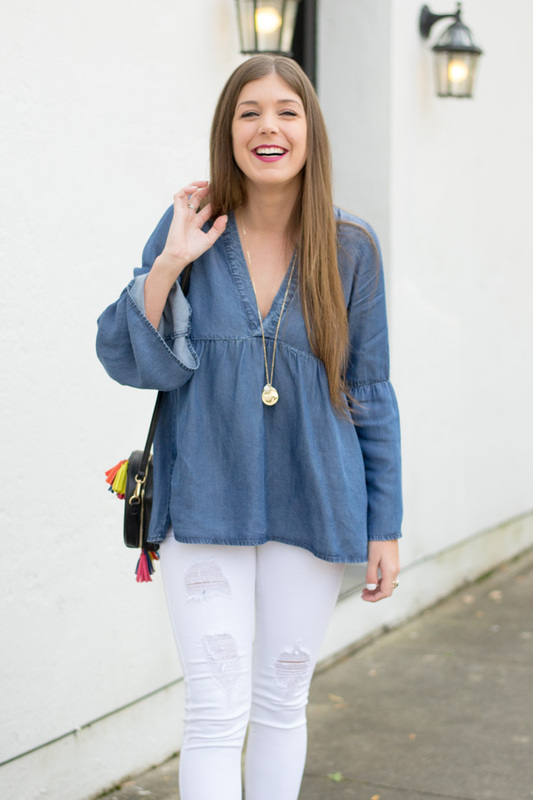 Do you own any bell sleeves top?! You've styled this perfectly! This is one of my favorite tops of yours..I may have to borrow it :-) Gorgeous, as always. What a cute top!! Those sleeves definitely make it amazing!! Kelsey, you look stunning! Love that top! 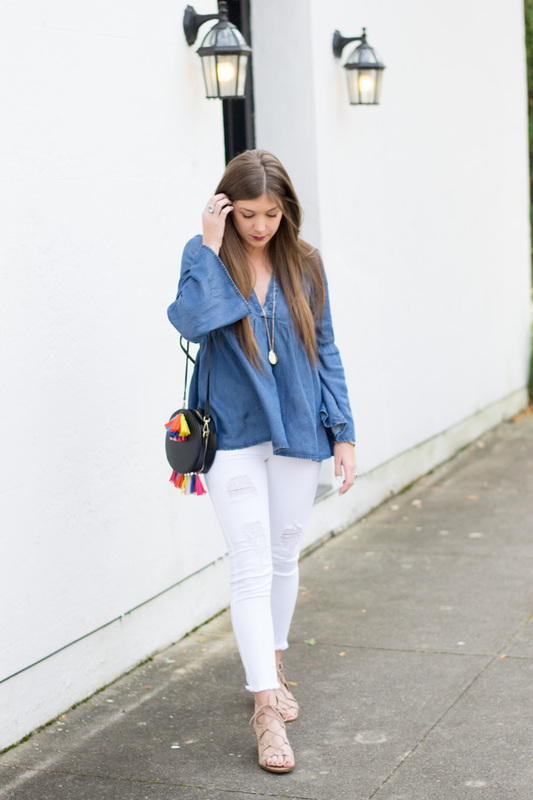 So casual and fun! Such a cute look! That purse adds the perfect amount of flair too. What a great top! I love how pretty that colour pop is on the bag! I love the detail of that bag! It gives the perfect pop of color too. 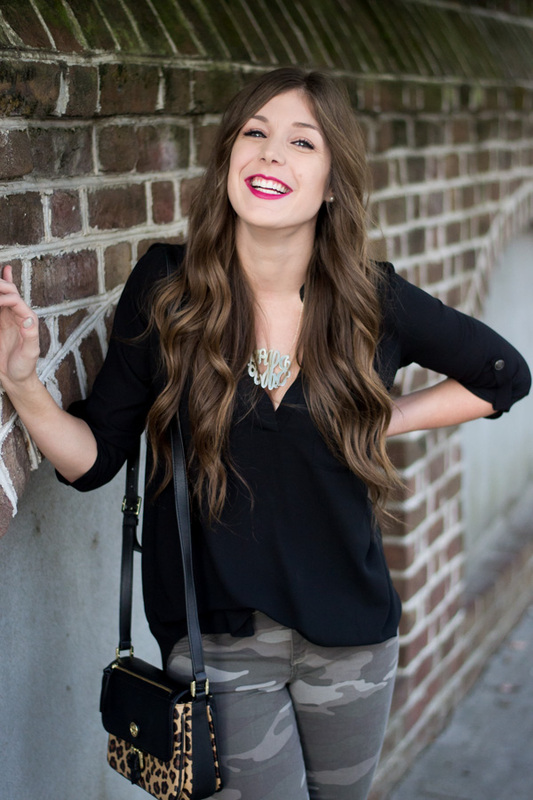 Love how you styled this look! 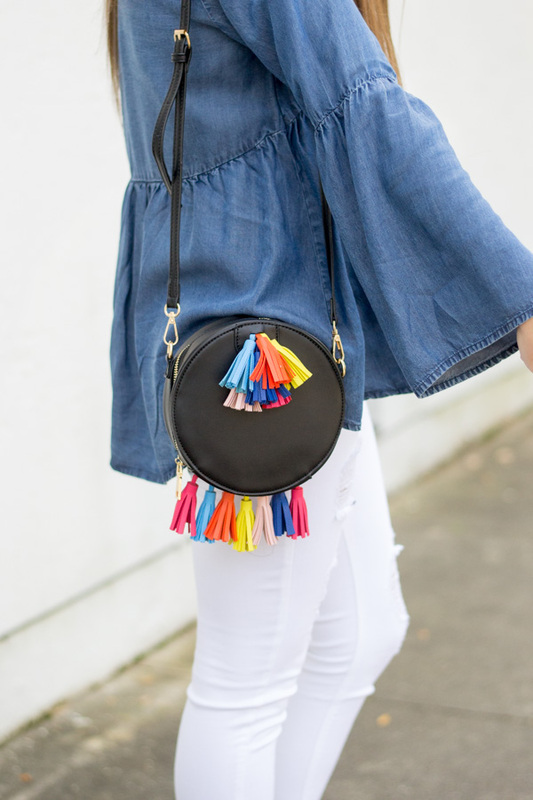 That bag is so fun and perfect for the spring/summer! One of my favorite outfit combos! 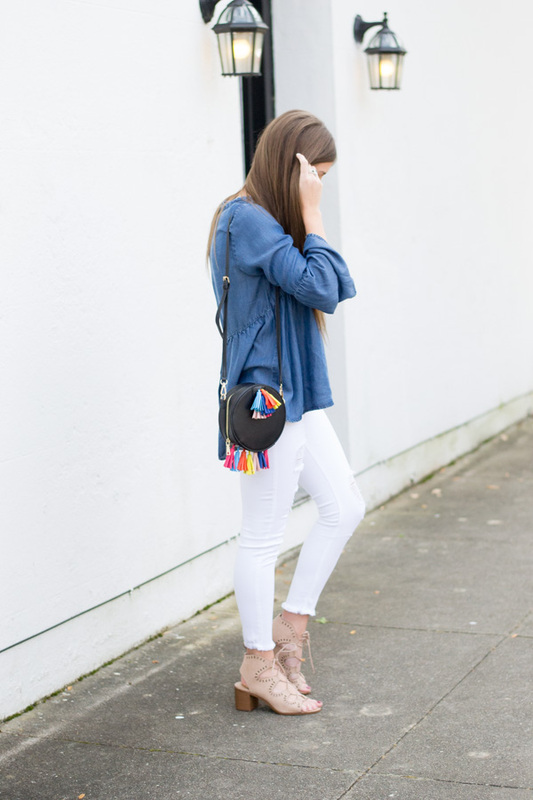 Love the burst of color with your bag! You look super lovely with the bell sleeves and the tasseled bag!! I love this look! That bag! It just dropped in temps here, so boo! 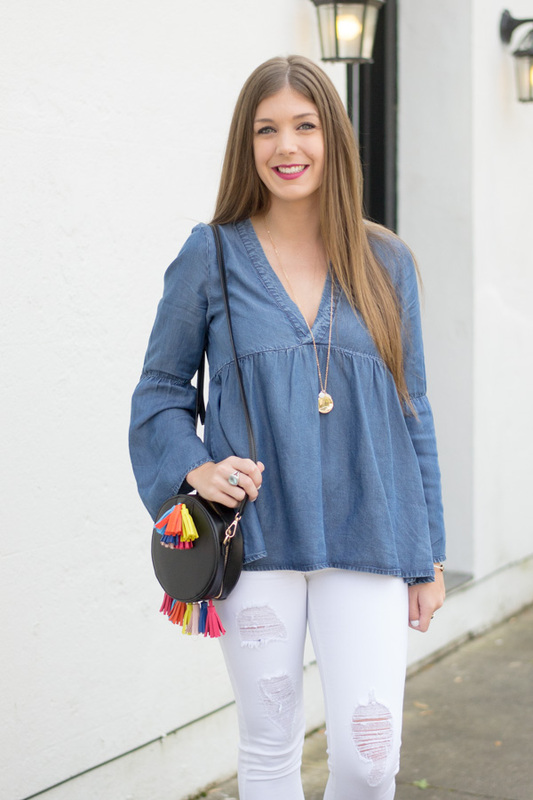 such a cute blouse and love the bag! 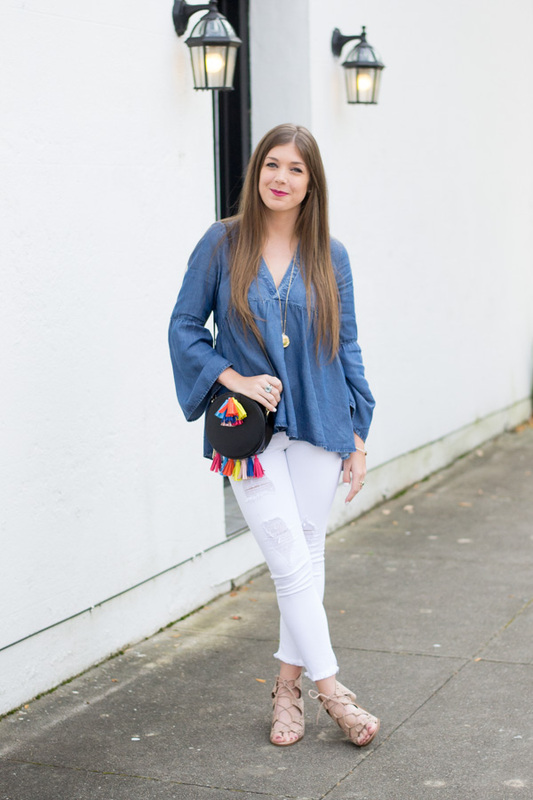 I love the bell sleeves - something about it seems flirty, fun and very comfortable. Great look! You are such a cutie I love that top! it suits you so well! the bag is also super fun. I have this top too!! I absolutely love it. so real in the summertime too! What an adorable look! Want that top and the bag! I just got a similar top! Super cute!